It's time for our second "My Baby Bump Maternity" Giveaway! 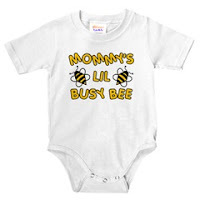 Catherine from My Baby Bump Maternity has created some of the most adorable items I have ever seen for expecting moms and their precious little ones. Here are some examples of what she has to offer . . . 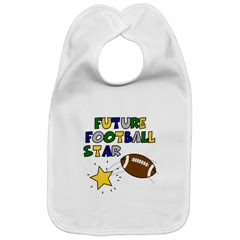 The prize for this contest is a "Future Sports Star Bib" like the one shown below. The winner will get to choose one bib from this line. 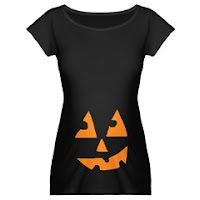 There's even a future cheerleader bib! 1) Go to My Baby Bump Maternity, look around, and especially check out the "Future Occupations" line. Then come back here and leave a comment with a suggestion of an occupation that you would like to see added to the line. Please put some thought into this, as Catherine values your input. 2) Subscribe to this blog's feed. Then leave a separate comment telling me that you did so.